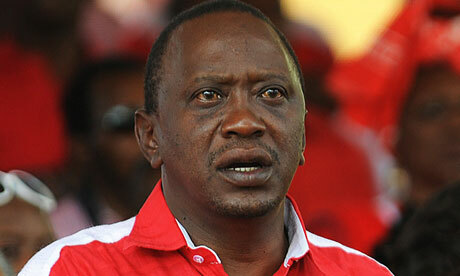 (A MUST READ) Kenya: Is The Dream Over? Wake Up And Smell The Fear. If the Commission is indeed burning the midnight oil to “reconcile” the fact that one million voters seemed to have discarded 5 of the 6 ballots they were given without anyone noticing, and then only cast a vote for the presidential election, then that would raise more serious doubts over the integrity of Uhuru Kenyatta’s victory. More than three months after the election, the IEBC is yet to release the full election results and every day, this delay further erodes the already shaky public confidence in the electoral process. Â A recent opinion poll by Infotrak found that nearly half of all of Kenyans had their doubts which pretty much reflects the divided nation. Even Western governments that seemed eager to ignore concerns over the veracity of the results and in a rush toÂ embrace the new administration, seem to be backing off a little. “Uncertainty following Kenyaâ€™s elections” was last week given as one of the two reasons US President Barrack Obama’s is ducking Kenya (the other is obvious). You would think that all this would be enough to shake the Kenyan media and society out of its post-election slumber. You might expect outraged protests, ala Brazil and Turkey. Of course you’d be wrong. As a society, we seem resolutely determined, in what has become the prevailing mantra, to “accept and move on.” Although a vocal and increasingly strident and shrill minority continues to man the online barricades and trade insults, much of the society has indeed moved on. But what is it that we have moved on to and what have we accepted? Every time I hear the phrase, it seems to mark the end of a dream. Between the indifference and resignation of those on the losing side and the hollow optimism and empty chest-thumping of the winners, one can’t help feeling that questioning the poll is flogging a dead horse. Thus today the election seems like a world away. Instead of a celebration of nationhood, it has become something else to forget, another nail in Kenya’s coffin.Time to wake up and smell the fear, I suppose. There is a real reluctance to go back and explore what happened. A real terror of peering behind the curtain of official truth, of what that might reveal, of what it might provoke. In this atmosphere, thick with our terror of each other and of our common past “accept and move on” is a comfort blanket that smothers the spark of outrage while soothing the afflicted conscience. In its embrace, we are suffocating the idea of Kenya, of a nation of rights, responsibility and opportunity for all; where life, hope and choices are not defined by one’s last name. Even when we rail against the brazen greed of MPigs or the alleged racism of ArtCafe, the anger sometimes seems contrived. We wish we could feel as genuinely Boniface Mwangi seems to and we may even swear that we will attend the next Occupy Parliament demo. But deep inside, I think we recognize that something has changed. Something fundamental. A sense that Kenya and Kenyans cannot long endure in this fearful place where we have exchanged the truth for the lie, where we hide things in plain sight. That realization is, I think, Kenya gasping for breath, for life. Yet we want to move on and forget. Every morning it is a little easier to ignore the cries of a dying nation, to accept that the pursuit of justice is an inherently dangerous thing. As every day inflicts upon us new outrages, pretty soon, what should be outrageous becomes normal. And we learn to ignore or silently endure the daily humiliations. The national spirit shrivels even further. Where we once looked to freedom and rights, understood ourselves to be exceptional in our part of the globe, were proud of our fractious and loud media and civil society, today we celebrate silence and lies and tyranny and manipulation. Where we once we saw ourselves as a beacon for the region, we have become a place to hide, where questions are not answered but themselves queried. No longer an island of peace, we are today content to swim in the sea of chaos, corruption and injustice. The other day I got to thinking that perhaps we’ve given up on doing better because we believe we’ve already tried it and it didn’t turn out so well. In 2002, we elected the activists. We tried the good guys. We gave them their shot and they gave us tyranny and assassinations, and corruption and Anglo-Leasing and the Arturs. So perhaps we’ve decided to turn the country over to the bad guys, the corrupt, the wicked, the indictees and the drug dealers. They surely could do no worse! But the election has given us an important insights into our own part in abetting this poverty of values among the governing elite. The brutal, kleptocratic leadership can afford to ignore us because they are aware that deep down we are afraid that we are just like them. That we are just as murderousÂ and I don’t want to turn away from it. It is this awareness that we fear but it is also, paradoxically, the truth that will set us free. For only by accepting responsibility for the past, can we own our future. By learning to believe in our own agency and to stop hiding behind the tribe or leader. I don’t want to forget what the election revealed. I don’t want to paper this over. Remembering and acting upon that remembrance is the only salvation for Kenya.